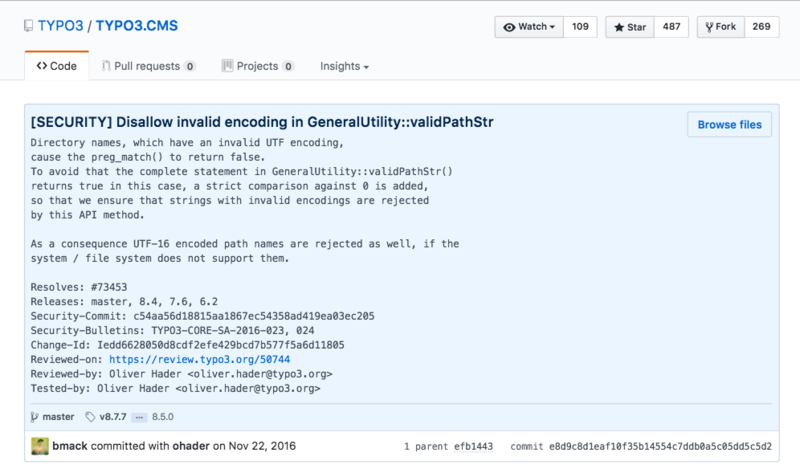 As you may know, SourceClear has the world’s most complete, accurate, and up-to-date database of verified vulnerabilities in open-source code. But what’s more important is that more than half of the vulnerabilities in our database are not available anywhere else and have no public disclosures. How do we manage to hunt these vulnerabilities from thousands of open-source libraries? Certainly, it would be too exhausting to manually track and review each library! Today we will walk you through our automated vulnerability identification system that is geared toward tracking large number of projects in real-time using natural language processing and machine learning techniques. The picture below shows the overview of our system. On the left side are our data sources which include commits, JIRA tickets, Bugzilla reports, GitHub issues & pull requests from thousands of open source libraries, and several private mailing lists managed by the security community. For each source, we have built a corresponding trained machine learning model to identify if each item (e.g. a commit or a bug report) from the source is related to a vulnerability or not. The identified vulnerabilities are sent to our vulnerability management platform (called WOPR) for review, after which, they are added to the threat intelligence center. 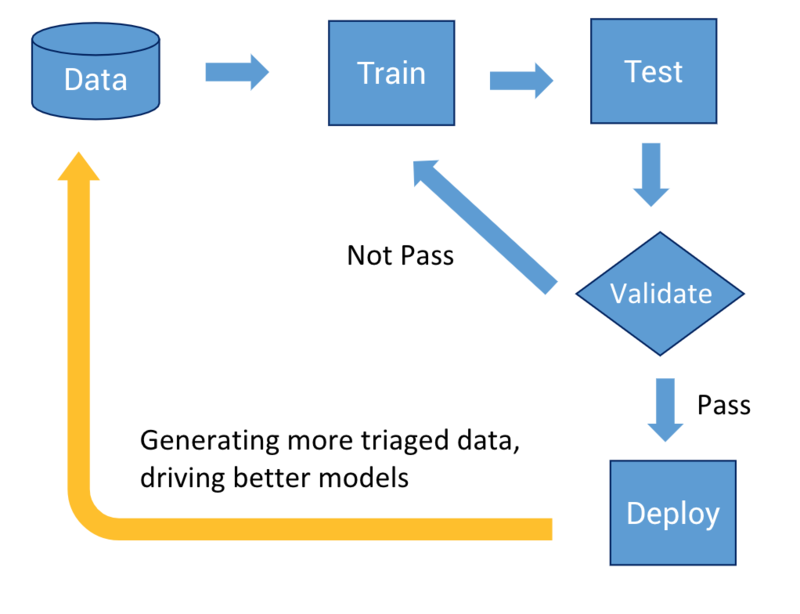 How do we iterate on a machine learning model in production? Like most non-trivial machine learning projects, the real challenge is building and maintaining the data pipelines for our models. We usually build an initial usable model and then iterate on it to get better performance. For each data source, we follow the model development cycle shown in the figure below. During the initial training, we experimentally train and test until the results meet our preset target. Then, we put the model into production to validate if the performance matches the test results. After passing the validation, we finally deploy and release the model into production. As we get new data, we retrain and upgrade the existing model if the newly retrained model shows better performance. Now let us introduce our training process. Here we use our data pipeline for commits as an example, but other sources are also handled in a similar fashion. The first and most crucial part for machine learning is getting the right data. Initially, we pulled all commits from ~2 thousand popular projects. We used regular expression based rules to filter out security-unrelated issues. Using this data, we built the ground truth dataset, where our dedicated security research team labelled all the data and created vulnerability reports. In this way, we collected ~12 thousand security-related commits. However, only 10.50% of them were related to a vulnerability. In addition to the highly imbalanced nature, the commit messages are unstructured, short, noisy, mixed with urls, abbreviations and variable names, as shown in the commit example below. This, of course, makes the training task quite challenging. We use the commit messages as the main feature for the initial training. This requires embedding methods to translate texts in natural languages into numerical vectors. As shown in the training pipeline figure, we built our own word2vec model over 3 million raw commits. The commits messages for training were first fed into the pretrained word2vec model, and then classified to gain the final identification model. We use 2⁄3 of the data for training, and the remaining 1⁄3 for testing. The second figure above illustrates the workflow of testing a trained vulnerability identification model. The unlabelled commits are mapped into numerical vectors via word2vec model, and then passed into the identification model, where the outputs are the probabilities of being related to vulnerabilities. If the probability of a commit is higher than a predefined threshold, then it is predicted as an vulnerability. The final binary results are compared with the ground truth that are labelled by the security researchers. The tuples above show the top 10 most similar words with xss and the corresponding similarity value. The most similar word to xss is vulnerability, followed by attack. As you can see from this example these words are quite similar in the context of security. To address the difficulty brought by the highly imbalanced and unstructured nature of the datasets, we designed a K-fold stacking algorithm that ensembles multiple individual classifiers to achieve better identification performance. The algorithm works as follows. It first splits the whole dataset into K folds. For each fold 1 ≤ i ≤ K, the ith part of data is used as the test data, while the rest of the K − 1 parts serve as the training data over which a set of individual classifiers are trained. Therefore after K iterations, each classifier has the full estimation of the whole dataset. Finally the results are fed into an ensemble using a logistic regression. If you are interested to know more about our system, its performance, and evaluation, please refer to our recent paper Automated Identification of Security Issues from Commit Messages and Bug Reports [pdf file] that we presented at the joint meeting of European Software Engineering Conference and Symposium on the Foundations of Software Engineering (ESEC/FSE) 2017. Dr. Asankhaya Sharma is the Director of Software Engineering at Veracode. Asankhaya is a cyber security expert and technology leader with over a decade of experience in creating security products for industry, academia and open-source community. He is passionate about building high performing teams and taking innovative products to market. He is also an Adjunct Professor at the Singapore Institute of Technology.